Just last week President Trump told Pope Francis that he would read “Laudato Si’,” Francis’ encyclical on the environment and climate change. Based on today’s events, it is clear that the president either has not yet read it, or he simply disagrees with what the pontiff said. Bishop Oscar Cantú of Las Cruces, who is the chairman of the USCCB committee on international justice and peace issued the following statement: “The United States Conference of Catholic Bishops (USCCB), along with Pope Francis and the entire Catholic Church, have consistently upheld the Paris agreement as an important international mechanism to promote environmental stewardship and encourage climate change mitigation. The President’s decision not to honor the U.S. commitment to the Paris agreement is deeply troubling. This morning, the Italian paper la Repubblica published an interview with Bishop Marcelo Sánchez Sorondo from the Pontifical Academy of Sciences. He referred to President Trump’s proposed actions as a “disaster and “a slap in the face.” Responding to a question about the church’s relationship with science, Bishop Sorondo noted that pretending that the world can not continue without reliance on carbon and oil “is like saying that the earth is not round.” He also noted that this dramatic reversal is a result of relying on presidential decrees to combat climate change. “We must hear the cry of the poor. Withdrawing from Paris and cutting foreign assistance is a double whammy to millions around the world. Without American leadership—imperfect as it is—problems fester, people suffer, and in the end we too feel the effects of instability, forced migration, and conflict,” O’Keefe said. The announcement by President Trump to pull the United States out of the 2015 Paris Climate Agreement is a decision with “catastrophic consequences for the earth and all of its living creatures,” according to a statement released today by the Franciscan Action Network. J. Matthew Ashley, associate professor of theology and chair of Notre Dame's Department of Theology, emailed a statement in anticipation of today’s decision yesterday: “Responding aggressively and proactively to climate change is a core principle of Pope Francis's encyclical, “Laudato Si,’” not only because of its devastating impact on natural ecosystems, but also because it causes disproportionate suffering for the poor, who do not have the financial resources to avoid or mitigate its effects. 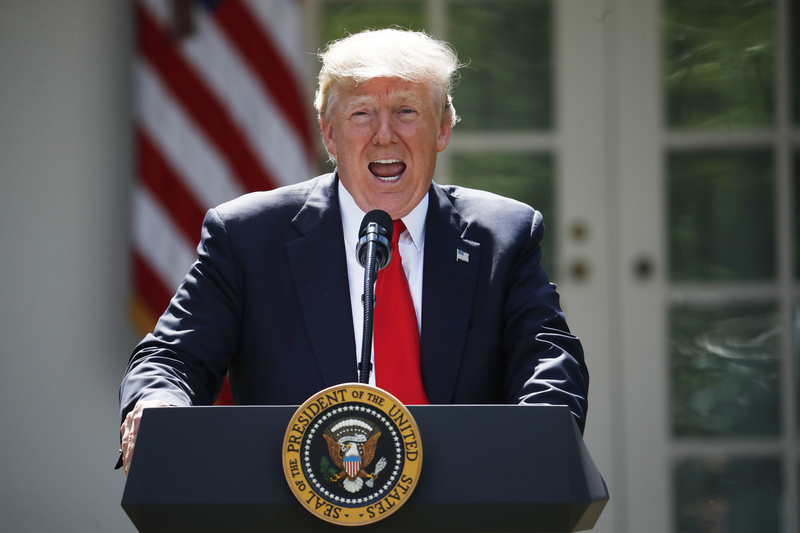 Tomás Insua, Executive Director of the Global Catholic Climate Movement, issued the following statement: “Trump's withdrawal from the Paris Agreement is a backward and immoral action. Catholics are saddened and outraged that Trump is not listening to Pope Francis after their meeting last week. Still, the world will continue to accelerate climate action, despite the White House’s retrograde stance. As people of faith, we will continue to take action within our Church, and urge elected leaders in the United States and around the world to make the changes needed to hold global warming below 1.5 degrees Celsius. Trump’s decision only strengthens our resolve to mobilize the global family of 1.2 billion Catholics to reduce emissions, pressure society to change, and spread the Pope's message of Laudato Si in order to protect our common home. Leaders from eleven of Catholic organizations have signed a letter that expresses “deep disappointment” over President Trump’s decision to withdraw the United States from the Paris Agreement and cease American contributions to the U.N. Green Climate Fund that will help poorer nations address climate change. The letter, organized by Catholic Climate Covenant, follows a statement today from the U.S. Conference of Catholic Bishops urging President Trump to “honor the Paris Agreement” and the bishops' repeatedsupport for the Green Climate Fund. The letter begins with a description of how climate change harms the human family, especially the poor and marginalized. The letter then underscores that since Saint John Paul II's 1990 World Day of Peace Message, the Catholic Church has recognized climate change as a moral issue that indicts key commitments of Catholic Social Teaching. Additionally, the letter notes that Pope Francis, Pope Emeritus Benedict XVI, the U.S. Conference of Catholic Bishops, 15,000 U.S. Catholics, majorities of Americans in every state, and hundreds of U.S. businesses – including major fossil fuel companies – support an international climate change agreement. The letter then implores President Trump to reconsider his decisions to withdraw the United States from the Paris Agreement and stop American contributions to the Green Climate Fund. Correction: A previous version of this article inaccurately referred to the group "Catholic Climate Covenant" as "Catholic Climate Change." I guess the Pontiff did not know that Trump was a speed reader. Like too many of our Catholic brethren, Trump once again proves himself to be a pro-life phony. Once again Paul Ryan shows himself as a weak, pathetic lapdog to Trump. just to make the record correct, Trump is a voracious reader and he keeps a very sloppy desk full of clippings, cutouts and underlined articles. he's a detail fanatic. he doesn't smoke or drink. Can't wait to hear Burke and Dolan fawn after Trump. These Catholic leaders evidently neither speak nor represent the majority of working class Catholics who would bear the brunt of unrealistic regulations imposed by this agreement.How can Bishops support a Policy for which they they do not have expertise but only fall prey to skeptics that believe the world is in peril from Climate Change . Yes, the Climate has changed in the past, is changing now& will change in the future due to mostly natural causes( ie. I agree with Pope Francis when he said humans are probably responsible for some change ) but not the change we see expressed by the media. So, please brother Bishops express your concern primarily to the saving of souls because we really need your support & prayers to sustain ourselves & families in our sojourn through this world. Any way, the President will attempt to modify the original accord in a way to help American workers.. I agree with Paul Ryan. Trump is not at war with the environment, he has his prioities in order. The Paris Accord is not about climate control, but "politics." I love Pope Francis, but he is "Peter" and has been given authority over the Church, not governments and the world. There is a time for everything, and now is the time to rebuild America. That is why Trump was elected. When it comes down to it, only God has control over climate control. Our attempts are merely building the tower of "Babbel," or trying to control the wind. It is a distraction. A commet could hit the earth and that could change everything. Pope Francis needs to focus on what he was "called" to do, and leave the rest to God. I keep asking.....If the Paris Agreement is so vitally important to our future and the future of the globe then why wasn't it submitted to Congress for ratification as a binding treaty? Why is it a non binding agreement ? If there is such an impending threat from carbon Co2 why are the two biggest polluters , China and India, given 15 years or more to just start reducing their Co2 emissions and in fact are allowed in the interim to increase those emissions? Don't know ! , but great questions! Hey! If the pope and Joe Biden agree it must be so. They can't put anything that's not true on the Internet. The raison d'etre, to invoke the French speaking John Kerrry, for the Paris accord is follow the money. First there is no vast plan to stop "Global warming/climate change, since in fact it stopped some 18+years ago. If the Pope and the various Catholic organizations were was so convinced that the Paris agreement was necessary why was it not submitted to the Senate for approval, why did they not discuss the billions of dollars to be transferred by developed countries to third-world countries, much through unspecified NGOs feeding at the public trough, as a reparation for unspecified climate change damage supported by the major world banks who would earn billions also from these transfers, why did they not single out the,many companies supporting the accord that are investing in green energy and already receive hundred of millions of taxpayers funds from the government like,GE,Tesla,et al. or went bankrupt. The Paris accord is simply an attempt at legalizing a worldwide distribution of wealth. Because Trump pulled out of the Paris Climate Agreement, he didn't read Laudato Si??? Talk about invalid reasoning. He could've read Laudato Si and simply disagreed with its climate change assertions. What's amazing is that under this agreement countries like China and India would not be bound by the emission standards imposed on the U.S. and could be the beneficiaries of enormous subsidies that the U.S. was supposed to pay to other nations. Laudato Si's climate-change assertions are not Catholic doctrine and the Pope has no special competence in this area. There is still substantial scientific debate on the extent of humanity-caused global warming. Recall not that long ago there the hysteria we were all going to freeze to death or the earth would be starving because of the population bomb. There is no other country more generous to the poor than the U.S. Like so many things in the world of pc ideology, the legitimate aspects of protecting the environment and climate change become cover for imposing the ideology hence the attack on the U.S. draining the U.S. of money to feet the ideology, world government by the ideology, and the need for more and more ideological government control and regulation with the proportionate loss of freedom. By the way compare the price of electricity in Europe to that of the U.S. This ideology wants the U.S. to suffer the same cultural and moral decay that Europe is undergoing. Trump was right to pull us out of this. As a lawyer who works in the energy space, I am disappointed by Pres. Trump's mistaken choice to withdraw from COP21. But I am also disturbed by the statements of Archbishop Sanchez Sorondo of the Pontifical Academy of Sciences, especially if it is accurate that he is an influential advisor to Pope Francis on climate. His assertion that a wholesale abandonment of oil & gas as an energy source would be harmless is entirely baseless. There is no model that I am familiar with - whether by industry, government agency, or non-proft - that supports the view that a wholesale ban on oil & gas as sources of energy would cause no great harm to the global economy. Rather, the consensus view is that such a wholesale shift would indeed cause great harm to the global economy, with the poorest nations suffering the most. This is why most models posit a gradual shift away from the dominant position of coal & fossil fuels towards a greater mix of energy supplies over the next decade or so. This includes models created by the industry's own in-house economists. In other comments omitted here, Sanchez Sorondo also states that Trump's decision is at the behest of the "oil lobby." This, too, is another demonstrably false statement. Indeed, almost every Big Oil company supports COP21 - including the President's Secretary of State when he was CEO of ExxonMobil. I thought Pres. Obama's statement yesterday hit the nail on the head: the industry has already accepted the shift to lower-carbon intensive technologies, & it is private industry that has lead the way in the reduction of the US's carbon emissions. This very fact will remain unchanged because of Trump's decision, much as I disagree with it. what rules and regulations might be enacted by Congress or issued by government agencies and their effect on the industry. The following was sent to the Attorney General of New York State who is a leading climate change advocating the criminalization of those who disagree starting with ExxonMobil. In order to prove that a person or a company is a "denier" of a theoretical scientific proposal hardly a criminal act, it is first necessary to prove without a doubt that the theory ie, climate change, nee global warming, is a scientific fact with unquestionable data and is the result of human activities and that CO2 resulting from use of hydrocarbon based fuels is the cause. Organization and individuals issued a subpoena for their writings,studies on climate change,nee global warming should have the legal right to ask for the raw data, the adjustments, corrections made and the scientific justification for these and results with and without man made corrections that prove conclusively that CO2 is the cause of any warming and the reason for the 18+year pause in warming. They should also be able to question how the proven historical climate changes, the end of the last Great Ice Age, the Medieval Warm Period, the Little Ice Age of the Middle Ages without significant human input by use of hydrocarbon energy sources. "The fact is that we can't account for the lack of warming at the moment and it is a travesty that we can't." and now he is one of the 20 asking the the President and the Justice Department to begin a RICO investigation into those who agree with his "lack of warming" remark. Once all of the pseudo- science of the government paid or funded AGW "experts' is put under the glaring light and with questioning under oath testimony this whole house of cards will be tumbling down. he glaring light and with questioning under oath testimony this whole house of cards will be tumbling down. The true purpose of the Paris Accord has been known for years,at least since the Cancun summit in 2010. Thank you for support. I tried to send my comments directly to Pope Francis using the email addresses listed on the WWW and they are rejected as unknown address. I have sent the my comments to Bishop Marcelo Sánchez Sorondo from the Pontifical Academy of Sciences yesterday and will send to the UCCB and the other ministries mentioned in this article tomorrow. It is apparent that not one of these organizations have any idea of what Paris Accord will and will not do.